Having never lived in the tropics, I can’t really tell you when mango season is. But I do know that a few times a year, there’s suddenly an abundance of champagne mangoes at the grocery store. They’ll be strategically positioned at the front of the produce section, boxes stacked precariously on top of each other. And they’re always 5 for $5. While I like regular mangoes just fine, I like the champagne ones even more. They’re a little bit smaller, but I have yet to get one that wasn’t sweet or that was stringy or weird in some other way. So, in summary, I love champagne mangoes and it’s that time of year–cheap champagne mango season. Exclamation point! 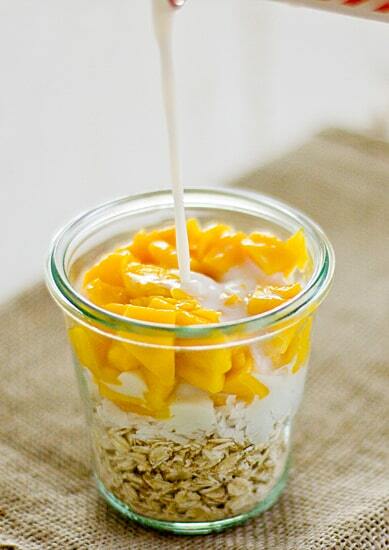 I’ve been trying out different kinds of overnight oatmeal lately, but I haven’t had success until I came up with this Coconut Mango Overnight Oatmeal recipe. The first time I made overnight oatmeal in a jar, I tried using steel cut oats. I’ve read other people raving about using those in overnight oats, but I have TMJ and chewing on them gave me a jaw ache that stayed with me the rest of the day. Not good! I also tried adding cocoa powder to my oats, but it made me kind of queasy–I had to let my husband finish that batch of oatmeal. After purchasing a bunch of cheap champagne mangoes last week, I thought I’d try overnight oatmeal one more time, with mangoes and coconut. And if it didn’t work out, I would stop trying to make this overnight oatmeal thing happen for me. Well, I guess it’s true that the third time’s the charm, because the Coconut Mango Overnight Oatmeal was definitely a winner. I find oatmeal to be a little bit heavy, so adding an equal amount of mangoes to the oats was the perfect way to lighten it up. And the best thing about overnight oats is that you do the (minimal) prep work the night before and your oatmeal is done in the morning–you don’t even have to heat it up (although you can if you want)! I’ve been making this with my cheapo mangoes all week and I don’t think I’m going to get tired of it anytime soon. 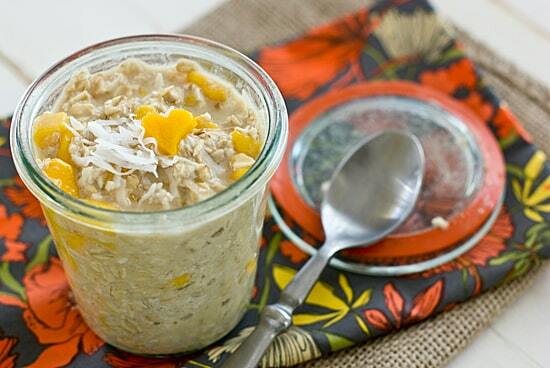 Breakfast doesn’t get much easier (or healthier) than this tropical overnight oatmeal recipe! Stir together all ingredients in a resealable jar or bowl. Cover and refrigerate overnight. Stir before serving and add additional milk (for a thinner consistency) and agave nectar if desired. Prep time doesn’t include time spent overnight in fridge. 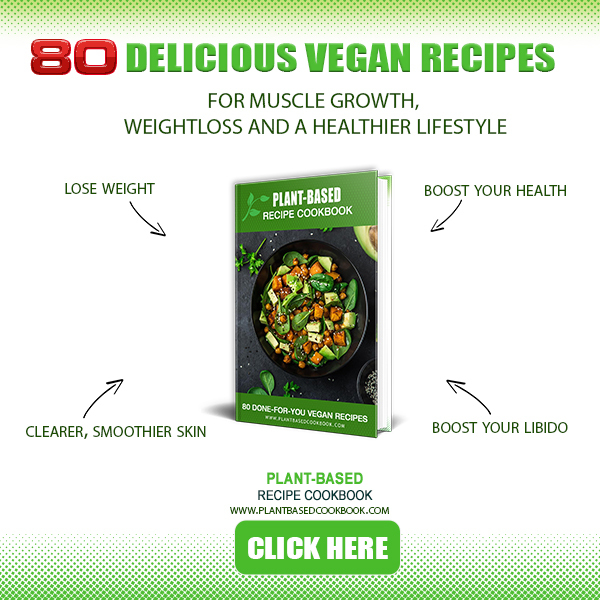 You can substitute any kind of milk for the almond milk, but you may need to adjust the amount of agave nectar you use. If you don’t keep agave nectar on hand, brown sugar or honey would both work well in this recipe.